Wonder why but of late, the topic on anatta kept surfacing in forums. Perhaps 'yuan' (condition) has arisen. -:) I will just jot down some thoughts on my experiences of ‘no-self’. A casual sharing, nothing authoritative. The 2 stanzas below are pivotal in leading me to the direct experience of no-self. Although they appear to convey the same stuff about anatta, meditating on these 2 stanzas can yield 2 very different experiential insights -- one on the emptiness aspect and the other, the non-dual luminosity aspect. The insights that arise from these experiences are very illuminating as they contradict so much our ordinary understanding of what awareness is. Before proceeding any further, it is of absolute importance to know that there is no way the stanzas can be correctly understood by way of inference, logical deduction or induction. Not that there is something mystical or transcendental about the stanzas but simply the way of mental chattering is a 'wrong approach'. The right technique is through 'vipassana' or any more direct and attentive bare mode of observation that allows the seeing of things as they are. Just a casual note, such mode of knowing turns natural when non-dual insight matures, before that it can be quite 'efforting'. The two most obvious experiences from this initial glimpse of the first stanza is the lack of doer-ship and the direct insight of the absence of an agent. These 2 experiences are key for my phase 5 of the 7 phases of insights. 1. The lack of doer-ship that links and co-ordinates experiences. Without the 'I' that links, phenomena (thoughts, sound, feelings and so on and so forth) appear bubble-like, floating and manifesting freely, spontaneously and boundlessly. With the absence of the doer-ship also comes a deep sense of freedom and transparency. Ironical as it may sound but it's true experientially. We will not have the right understanding when we hold too tightly 'inherent' view. It is amazing how 'inherent' view prevents us from seeing freedom as no-doership, interdependence and interconnectedness, luminosity and non-dual presence. 2. The direct insight of the absence of an agent. With all due respect, they have just “blah” something nice but deluded. See that there is no one behind thoughts. First, one thought then another thought. Always just this, One Thought! And this is the whole purpose of anatta. To thoroughly see through that this background does not exist in actuality. What exists is a stream, action or karma. There is no doer or anything being done, there is only doing; No meditator nor meditation, only meditating. From a letting go perspective, "a watcher watching thought" will create the impression that a watcher is allowing thoughts to arise and subside while itself being unaffected. This is an illusion; it is 'holding' in disguise as 'letting go'. When we realized that there is no background from start, reality will present itself as one whole letting go. With practice, ‘intention’ dwindles with the maturing of insight and ‘doing’ will be gradually experienced as mere spontaneous happening as if universe is doing the work. With the some pointers from 'dependent origination', we can then penetrate further to see this happening as a sheer expression of everything interacting with everything coming into being. In fact, if we do not reify ‘universe’, it is just that -- an expression of interdependent arising that is just right wherever and whenever is. Understanding this, practice is simply opening to whatever is. For this mere happening is just right wherever and whenever is. Though no place can be called home it is everywhere home. The experience is Maha! Great, miraculous and bliss. When expressed poetically is as if the entire universe meditating. As this moment of vivid shimmering. By then it is clear that the transient phenomena is already happening in the perfect way; unwinding what must be unwinded, manifesting what must be manifested and subsides when it is time to go. There is no problem with this transient happening, the only problem is having an ‘extra mirror’, a reification due to the power of the mind to abstract. The mirror is not perfect; it is the happening that is perfect. The mirror appears to be perfect only to a dualistic and inherent view. Our deeply held inherent and dualistic view has very subtly and unknowingly personified the "luminous aspect" into the watcher and discarded the "emptiness aspect" as the transient phenomena. The key challenge of practice is then to clearly see that luminosity and emptiness are one and inseparable, they have never and can never be separated. Division of subject and object is merely an assumption. Thus someone giving up and something to be given up is an illusion. It will be obvious by then that only the deeply held dualistic view is obscuring our insight into this experiential fact. In actual experience, there is just the crystal clarity of phenomena manifesting. Maturing this experience, the mind-body dissolves into mere non-dual luminosity and all phenomena are experientially understood as the manifestation of this non-dual luminous presence -- the key insight leading to the realization that "All is Mind". After this, not to be too overwhelmed or over-claimed what is more than necessary; rather investigate further. Does this non-dual luminosity exhibits any characteristic of self-nature that is independent, unchanging and permanent? A practitioner can still get stuck for quite sometimes solidifying non-dual presence unknowingly. This is leaving marks of the 'One mirror' as described in the stage 4 of the 7 phases of my insights. Although experience is non-dual, the insight of emptiness is still not there. Though the dualistic bond has loosened sufficiently, the 'inherent' view remains strong. When the 'subject' is gone, experience becomes non-dual but we forgotten about the 'object'. When object is further emptied, we see Dharmakaya. Do See clearly that for the case of a ‘subject’ that is first penetrated, it is a mere label collating the 5 aggregates but for the next level that is to be negated, it is the Presence that we are emptying -- not a label but the very presence itself that is non-dual in nature. For sincere Buddhist practitioners that have matured non-dual insight, they may prompt themselves why is there a need for Buddha to put so much emphasis on dependent origination if non-dual presence is final? The experience is still as Vedantic, more 'Brahman' than 'Sunyata'. This 'solidity of non-dual presence' must be broken with the help of dependent origination and emptiness. Knowing this a practitioner can then progress to understand the empty (dependently originated) nature of non-dual presence. It is a further refining of anatta experience according to the first stanza. As for those "I AMness" practitioners, it is very common for them after non-dual insight to stay in non-dual presence. They find delight in 'chop wood, carry water' and 'spring comes, grass grows by its own'. Nothing much can be stressed; the experience do appear to be final. Hopefully 'yuan' (condition) can arise for these practitioners to see this subtle mark that prevent the seeing. If we observe thought and ask where does thought arise, how does it arise, what is ‘thought’ like. 'Thought' will reveal its nature is empty -- vividly present yet completely un-locatable. It is very important not to infer, think or conceptualise but feel with our entire being this ‘ungraspability’ and 'unlocatability'. It seems to reside 'somewhere' but there is no way to locate it. It is just an impression of somewhere "there" but never "there". Similarly “here-ness” and “now-ness” are merely impressions formed by sensations, aggregates of causes and conditions, nothing inherently ‘there’; equally empty like ‘selfness’. This ungraspable and unlocatable empty nature is not only peculiar to ‘thought’. All experiences or sensations are like that -- vividly present yet insubstantial, un-graspable, spontaneous, un-locatable. If we were to observe a red flower that is so vivid, clear and right in front of us, the “redness” only appears to “belong” to the flower, it is in actuality not so. Vision of red does not arise in all animal species (dogs cannot perceive colours) nor is the “redness” an inherent attribute of the mind. If given a “quantum eyesight” to look into the atomic structure, there is similarly no attribute “redness” anywhere found, only almost complete space/void with no perceivable shapes and forms. Whatever appearances are dependently arisen, and hence is empty of any inherent existence or fixed attributes, shapes, form, or “redness” -- merely luminous yet empty, mere appearances without inherent/objective existence. Likewise when standing in front of a burning fire pit, the entire phenomena of ‘fire’, the burning heat, the whole sensation of ‘hotness’ that are so vividly present and seem so real but when examined they are also not inherently “there” -- merely dependently manifest whenever conditions are there. It is amazing how dualistic and inherent views have caged seamless experience in a who-where-when construct. All experiences are empty. They are like sky flowers, like painting on the surface of a pond. There is no way to point to a moment of experience and say this is ‘in’ and that is ‘out’. All ‘in’ are as ‘out’; to awareness seamless experience is all there is. It is not the mirror or pond that is important but that process of illusion-like phenomenon of the paint shimmering on the surface of the pond; like an illusion but not an illusion, like a dream but not a dream. This is the ground of all experiences. Yet this ‘ungraspability and unlocatabilty’ nature is not all there is; there is also this Maha, this great without boundaries feeling of 'interconnectedness'. When someone hits a bell, the person, the stick, the bell, the vibration of the air, the ears and then the magically appearance of sound -- ’Tongsss…re-sounding…’ is all a seamless one happening, one experience. When breathing, it is just this one whole entire breath; it is all causes and conditions coming together to give rise to this entire sensation of breath as if the whole of universe is doing this breathing. The significance of this Maha experience is not in words; in my opinion, without this experience, there is no true experience of 'interconnectedness' and non-dual presence is incomplete. The experience of our empty nature is a very different from that of non-dual oneness. ‘Distance’ for example is overcome in non-dual oneness by seeing through the illusory aspect of subject/object division and resulted in a one non-dual presence. It is seeing all as just ‘This’ but experiencing Emptiness breaks the boundary through its empty ungraspable and unlocatable nature. There is no need for a ‘where-place' or a ‘when-time' or a ‘who-I' when we penetrate deeply into this nature. When hearing sound, sound is neither ‘in here’ nor ‘out there’, it is where it is and gone! All centers and reference points dissolve with the wisdom that manifestation dependently originates and hence empty. The experience creates an "always right wherever and whenever is" sensation. A sensation of home everywhere though nowhere can be called home. Experiencing the emptiness nature of presence, a sincere practitioner becomes clear that indeed the non-dual presence is leaving a subtle mark; seeing its nature as empty, the last mark that solidifies experiences dissolves. It feels cool because presence is made more present and effortless. We then move from "vivid non-dual presence" into "though vividly and non-dually present, it is nothing real, empty!". The experience of Maha may sound as if one is going after certain sort of experience and appears to be in contradiction with the 'ordinariness of enlightenment' promoted in Zen Buddhism. This is not true and in fact, without this experience, non-dual is incomplete. This section is not about Maha as a stage to achieve but to see that Sunyata is Maha in nature. In Maha, one does not feel self, one 'feels' universe; one does not feel 'Brahman' but feels 'interconnectedness'; one does not feel 'helplessness' due to 'dependence and interconnection' but feels great without boundary, spontaneous and marvelous. Now lets get back to 'ordinariness'. Ordinariness has always been Taoism’s forte. 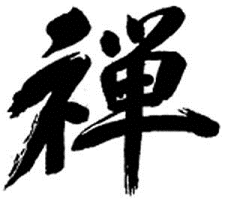 In Zen we also see the importance of this being depicted in those enlightenment models like Tozan’s 5 ranks and the The Ten Oxherding Pictures. But ordinariness must only be understood that non-dual and the Maha world of suchness is nothing beyond. There is no beyond realm to arrive at and never a separated state from our ordinary daily world; rather it is to bring this primordial, original and untainted experience of non-dual and Maha experience into the most mundane activities. If this experience is not found in most mundane and ordinary activities then practitioners have not matured their understandings and practices. If we were to breathe in and out, in and out…till there is simply this entire sensation of breath, just breath as all causes and conditions coming into this moment of manifestation. If we were to focus on the sensation of stepping, the sensation of hardness, just the sensation of the hardness, till there is simply this entire sensation ‘hardness’ when the feet touches the ground, just this ‘hardness’ as all causes and conditions coming into this moment of manifestation. If we were to focus on hearing someone hitting a bell, the stick, the bell, the vibration of the air, the ears all coming together for this sensation of sound to arise, we will have Maha experience. However ever since incorporating the teaching of dependent origination into non-dual presence, over the years it has become more ‘accessible’ but never has this been understood as a ground state. There seems to be a predictable relationship of seeing interdependent arising and emptiness on the experience of non-dual presence. A week ago, the clear experience of Maha dawned and became quite effortless and at the same time there is a direct realization that it is also a natural state. In Sunyata, Maha is natural and must be fully factored into the path of experiencing whatever arises. Nevertheless Maha as a ground state requires the maturing of non-dual experience; we cannot feel entirely as the interconnectedness of everything coming spontaneously into being as this moment of vivid manifestation with a divided mind. The universe is this arising thought. The universe is this arising sound. Lastly, when these 2 experiences inter-permeate, what is really needed is simply to experience whatever arises openly and unreservedly. It may sound simple but do not underestimate this simple path; even aeon lives of practices cannot touch the depth of its profundity. In fact all the subsections -- “On Stanza One”, “On Stanza Two”, “On Emptiness”, there is already certain emphasis of the natural way. With regards to the natural way, I must say that spontaneous presence and experiencing whatever arises openly, unreservedly and fearlessly is not the 'path' of any tradition or religion -- Be it Zen, Mahamudra, Dzogchen, Advaita, Taoism or Buddhism. In fact the natural way is the 'path' of Tao but Taoism cannot claim monopoly over the 'path' simply because it has a longer history. My experience is that any sincere practitioner after maturing non-dual experiences will eventually come to this automatically and naturally. It is like in the blood, there is no other way than the natural way. That said, the natural and spontaneous way is often misrepresented. It should not be taken to mean that there is no need to do anything or practice is unnecessary. Rather it is the deepest insight of a practitioner that after cycles and cycles of refining his insights on the aspect of anatta, emptiness and dependent origination, he suddenly realized that anatta is a seal and non-dual luminosity and emptiness have always been ‘the ground’ of all experiences. Practice then shift from ‘concentrative’ to ‘effortless’ mode and for this it requires the complete pervading of non-dual and emptiness insights into our entire being like how “dualistic and inherent views” has invaded consciousness. In any case, care must be taken not to make our empty and luminous nature into a metaphysical essence. I will end with a comment I wrote in another blog Luminous Emptiness as it summarizes pretty well what I have written. Is the degree of how unreserved and fearless we open to whatever is. For whatever arises is mind, always seen, heard, tasted and experienced. Is our conceptual idea of what mind is. the texture and the fabric of awareness. we let go of 'selfness' yet unknowingly grasped ‘nowness’ and ‘hereness’. Whatever arises merely dependently originates, needless of who, where and when. All experiences are equal, luminous yet empty of self-nature. Though empty it has not in anyway denied its vivid luminosity. Liberation is experiencing mind as it is. We should not treat the insight of emptiness as 'higher' than that of non-dual luminosity. It is just different insights dawning due to differing conditions. To some practitioners, the insight of our empty nature comes before non-dual luminosity. For a more detailed conceptual understanding of Emptiness, do read the article "Non-Dual Emptiness" by Dr. Greg Goode. Simple brilliance~thank you for this insightful sharing that is mirrored innerly since an NDE and makes sense of what is seen/felt. Not many managed to explain Life in these terms. Shine on! Is spontenous perfection the end of the path? And what happens to this awareness after dissolution of body?once total no self been realized,does awareness absorbed into Awareness,with no more birth into phenomenal world anymore? As the Buddha said,birrh,aging,sickness and death is suffering;no of this suffering will happen if awareness doesn't 'trapped' in a body.hope to get clarification on this point. This can be more accurately described thus: what will happen to this awareness residing in this particular body mind once death comes? Release into larges ,true absolute Awareness,with no more birth into phenomena? Phenomena and awareness exists in separation only due to a misconception. I do not see separation nor an end to anything. It is an ongoing process. Next... According to the author of this article Thusness, spontaneous perfection simply refers to the three tastes of his practice that he mentioned that are spontaneously perfected. It is just effortless and ongoing expression from there on. Practice simply takes another form as he has stated in the article - practice-enlightenment. It is true that when no-self is actualized and when the body is deconstructed, a practitioner naturally experiences the mind-body drop. This means any sense or image of a body and a mind completely dissolves along with any senses of 'entrapment' or 'boundaries' at all. But do note that this is not a stage of meditative achievement. It is the result of wisdom-insight into the delusional constructions the conceives of a substantial body and a mind. In other words it is a form of self-view and view of a physical body (身见，我见) being dissolved via prajna wisdom. Our notion of a solid body with fixed shape, boundaries, and substance deconstructs when we examine it and see that there is only flickering sensations without a center or boundary. After which, mind-body drop becomes natural and effortless, not a stage to be attained in meditation and lost outside meditation. And because this is so, *mind body drop is an experience in daily life*. It is not separated from your mind, body, and daily life. It does not mean your body and mind ceases - it is your deluded image of an inherently existing self, body and mind is being released, so your daily life is experienced in a liberated manner. Therefore it is erroneous to think of "mind-body drop" as a stage of achievement separated from this very experience of body-mind-world. It is only that this body-mind-world is seen as empty of anything graspable, transparent, and boundless. Form is emptiness, emptiness is form. More importantly, by that stage, you realize that "Awareness" itself is an imputation on the entire flow of manifestation - "Awareness" itself does not exist separately apart from each momentary mind moment, whether it is a sense of formless presence in deep sleep, or the shapes and forms of each waking moment. In other words, Awareness is also empty of being an independent, separate self. I know trying to explain so many things in one post can be very confusing so please feel free to ask further if anything is left unsure. As for 'no more birth', that is only possible if one has completely eradicated all fetters and afflictions (primarily: craving, aggression/anger, delusion). In the Hinayana/Theravada path, this happens at the 4th stage of Arhanatship. If you are talking about Mahayana path, there are 2 levels of birth and death. The afflictive birth and death (‘fragmentary (life and) death’ (分段生死)) in samsara can only be eliminated at the 8th bhumi for Mahayana or 4th stage Arahant for Hinayana, as the 8th bhumi bodhisattva has eliminated passion, aggression and delusion （贪嗔痴） - the three poisons that results in samsaric birth. The bodhisattva of the 1st stage is only able to eradicate the confusion of views (见惑) by realizing the twofold emptiness of person and phenomena (人法二空）, but not the confusion of thoughts and desires (思惑) - the afflictive three poisons. The Bodhisattva of the 2nd stage attenuates (reduces) the passions of 思惑 but only at the 8th stage does it become purified. These appearances of great bodhisattvas are also known as "emanations". I just feel total eradication of craving and aversion seems impossible ..from ur explanation i conclude that the path from witness to no self to spontaneanity is (viewed with total deathless/no more rebirth)not the end path? Once you realize emptiness of self and become a stream entrant, Nirvana or no more rebirth is guaranteed within 7 lifetimes. If you want to achieve that in this life, that is possible also, but you have to practise hard to release your defilements. Also a stream entrant is no longer able to be reborn in the 3 lower realms. He/she can only be reborn in human or deva/celestial realm. I know the teaching of sotapanna ,not born in lowerrealm,no more than 7 births etc..are in the suttas,but i just feel they are much more intelectual than can be verified by ones own experience. That means many zen teachings of a ha! Satori is not the end path? No, those satoris are not the end of the path, not the end of rebirth. And no, Thusness has not achieved 8th bhumi or Arahantship. Satoris (realization) are merely the beginning. Mind-body drop off is also the beginning in a sense. Mind-body drop-off does not mean the elimination of subtler attachments, it does however lead to the sense of boundless release and free from entrapment to body-mind. I still cannot get off the view of awareness in a limited body/mind.what really separated my (experience) from yours if our awareness are not separated in the sense of mine(awareness)can only have experience through my particular body mind,and certainly your bodily(pain etc)experience ,emotions etc is different from mine.? As i read what thusness write abt emptiness,maha etc...i interpret it to mean we have to 'practice ' (eg bahiya sutta)or any practice of letting go until awareness becoming more and more detach from bidy mind,the knots being loosen,the koshas(sheath) also becoming more evaporated,until ones awareness are so free from 'connected' to thus phenomenal world. I know u may laugh at this view of mine,but thats how i see it. Hi, you are still having a dualistic and inherent understanding about Awareness. This causes you to think that liberation comes from dissociation from the phenomenal world. That would certainly be the way of practice for one who is still having a dualistic framework, and those who are at the Witness phase are also practicing in this way. But this act of dissociation is in fact the cause of suffering... it is an impossible effort to maintain some state of presence deemed as the purest or as one's dearest identity, plus an aversion to what is manifesting and a seeking after something that one delusionally thought is changeless/independent/beyond all else. In reality it is just a 'line' dictated by the mind. By reifying Awareness as something formless and changeless, it prevents us from seeing the 'forms' and 'textures' of Awareness. It causes us to seek after and grasp after the formless. How can this be liberation? It is a subtler form of identification, attachment, bondange/entrapment. Non-dual and anatta insights allow you to see that Awareness IS those transience stuff itself, the transience itself is the radiance. The transience itself turns out to be itself free and liberating, and any effort to dissociate/detach/seek is itself suffering! Mind-body drop is something very different from dissociating, not to be misunderstood. There is complete release of entrapment to body-mind by non-dual penetration of the construct of mind and body. Then there is a natural release into boundlessness - a universe of sensations and perceptions without center or boundaries. As my friend Simpo once wrote, "For one who realises non-duality (no subject-object split) there is no division of body and spirit. At non-duality realisation, body is not seen as entity but as perceptions and sensations that are 'not separated from environment'. In fact perception and sensation is the 'environment'." When insight deepens you also realize that the notion of a 'universal awareness underlying everything' is also erroneous. The notion of a background source is also seen through. By the way not only is your current thought unable to know other's thoughts, it is also unable to know the next thought! The next thought simply appears on its own accord due to conditions. We think we are the thinker or controller or knower of thoughts... but further looking challenges this presumption. …Impersonal/Universal Awareness is animating or ‘powering’ the body and the personality like electricity is powering the TV to show the images on screen. Whatever happens on screen is ‘run’ only by the ‘power’ of the One Mind. Everything and everyone is the spontaneous functioning of One Mind, there is no individual doers/actors/selves." Hi aen, how do i practice vipassana,can u give precise describtion,in daily life of distractions?when theres no slowing down of pace of activities due to demands of work? One own desires and aversion,mood etc...causing attention to be so distracted. Unless your insights are very mature and actualized in daily life, spending time in quiet contemplation and meditation is still necessary and very helpful to spiritual progress. However if you are inclined towards understanding the luminous clarity aspect of Awareness I can suggest practicing self-inquiry. "What you described is fine and it can be considered vipassana meditation too but you must be clear what is the main objective of practicing that way. Ironically, the real purpose only becomes obvious after the arising insight of anatta. What I gathered so far from your descriptions are not so much about anatta or empty nature of phenomena but are rather drawn towards Awareness practice. So it will be good to start from understanding what Awareness truly is. All the method of practices that u mentioned will lead to a quality of experience that is non-conceptual. You can have non-conceptual experience of sound, taste...etc...but more importantly in my opinion, u should start from having a direct, non-conceptual experience of Awareness (first glimpse of our luminous essence). Once you have a ‘taste’ of what Awareness is, u can then think of ‘expanding’ this bare awareness and gradually understand what does ‘heightening and expanding’ mean from the perspective of Awareness. The comment given by Dharma Dan is very insightful but of late, I realized that it is important to have a first glimpse of our luminous essence directly before proceeding into such understanding. Some times understanding something too early will deny oneself from actual realization as it becomes conceptual. Once the conceptual understanding is formed, even qualified masters will find it difficult to lead the practitioner to the actual ‘realization’ as a practitioner mistakes conceptual understanding for realization." should be after the arising insight of anatta and realizing the empty nature of phenomena. You can take this “Experiencing whatever arises fearlessly and unreservedly” as your path of practice and at the same time contemplate whether a mind that sees things dualistically and inherently is able to experience phenomena ‘fearlessly, completely and reservedly’. Practice with this question in mind will also help you penetrate into non-conceptuality and non-duality." "Anatta" and "emptiness" is also not to be seen as a "higher stage" than "realization of Awareness"... it clarifies the nature of "Awareness" but should not be seen in terms of hierarchy. "Not to take the 7 phases of insights and experiences as ‘stages’. It is merely a narration of the journey I have gone through. Phase 6 insight is not necessarily a higher state of insight than phase 1 insight. I think all these 7 phases of insights and experiences are of equal importance, they complement each other. Some might have experiential insight of Emptiness first with intensity of luminous essence coming later." I feel that the practice i should is vipassanic,or bare awareness.perhaps awareness may not be aporopriate word,i prefer to say,bare experiencing,but with full nawareness.advice? Hi Anonymous, that would very much depend on your personal inclinations. Personally I sought to realize what that very Awareness is first before proceeding into non-dual and empty insights, therefore I started with self-inquiry. For some they may enter through the path of Vipassana from the beginning. It appears that there are two groups of practitioners in this forum, one adopting the gradual approach and the other, the direct path. I am quite new here so I may be wrong. My take is that you are adopting a gradual approach yet you are experiencing something very significant in the direct path, that is, the ‘Watcher’. As what Kenneth said, “You're onto something very big here, Gary. This practice will set you free.” But what Kenneth said would require you to be awaken to this ‘I’. It requires you to have the ‘eureka!’ sort of realization. Awaken to this ‘I’, the path of spirituality becomes clear; it is simply the unfolding of this ‘I’. On the other hand, what that is described by Yabaxoule is a gradual approach and therefore there is downplaying of the ‘I AM’. You have to gauge your own conditions, if you choose the direct path, you cannot downplay this ‘I’; contrary, you must fully and completely experience the whole of ‘YOU’ as ‘Existence’. Emptiness nature of our pristine nature will step in for the direct path practitioners when they come face to face to the ‘traceless’, ‘centerless’ and ‘effortless’ nature of non-dual awareness. Perhaps a little on where the two approaches meet will be of help to you. I fully agree with what you said. It is just a casual sharing with Gary as he seems to be experiencing some aspects of the direct path. To me both gradual and direct path will eventually lead us to the same destination. It is rather the degree of understanding we have on a particular teaching. If we practice wholeheartedly, whatever traditions will lead us to the same goal. Frankly without re-looking at the basic teachings of Buddhism about the dharma seals and dependent origination, I will be leaving traces in the Absolute. In vipassana, there is the ‘bare attention’ and there is the mindful reminding of impermanence, no self and suffering of the transience. It is a very balanced and safe approach. Like in Zen tradition, different koans were meant for different purposes. The experience derived from the koan “before birth who are you?” is not the same as the Hakuin’s koan of “what is the sound of one hand clapping?” The five categories of koan in Zen ranges from hosshin that give practitioner the first glimpse of ultimate reality to five-ranks that aims to awaken practitioner the spontaneous unity of relative and absolute are meant to prevent leaving traces. (You should be more familiar than me ) My point is when we simply see the Absolute and neglect the relative, that ‘Absolute’ becomes dead and very quickly another ‘dead Absolute construct’ is being created. In whatever case, we can only have a sincere mind, practice diligently and let the mind figure the rest out. Q: how do i intensify my search frantically until some miracle happens?due to my karma(including bodily),my ignorance are very 'thick'.im not searching hard enough,or else something might happened. And the delight of finding the 'bull's footprint'- seeing the eye of dhamma,for then one knows the path to follow. What is needed is a desire to know the truth of one's being, what is the essence of one Self? As long as there is just that curiosity, that desire to know that truth of one's being, one is on his/her way. Just keep questioning, "Who am I?" Soon it becomes a momentum, it becomes a growing ball of doubt. And that is important. Most of the work in Zen practice takes place while sitting zazen because, in reality, there’s nothing anyone can give us. There’s nothing that we lack; each one of us is perfect and complete. That’s why it is said that there are no Zen teachers and nothing to teach. But this truth must be realized by each one of us. Who am I? What is life? What is truth? What is God? What is reality? Great faith and great doubt are in dynamic tension with each other; they work to provide the real cutting edge of koan practice. When great faith and great doubt are also accompanied by great determination -- the determination of “seven times knocked down, eight times up” -- we have at our disposal the power necessary to break through our delusive way of thinking and realize the full potential of our lives. Hi aen,i feel that the ego,self is tied strongly to afflictions (mental struggle,despair,resentment,one's reaction to bodily pain etc),and there's no (impossiblly hard)way buddha nature can be seen through when afflictions havent been dealt sufficiently with. Hi Anonymous, afflictions and sense of self are tied, but afflictions are the result of sense of self, and the effect of realizing no-self and liberating that sense of self by insight is that afflictive emotions will actually start to disappear in your life. I am speaking from experience although I cannot say I am fully liberated from all the fetters but you will see changes and reduction to afflictions in life and they will be largely missing in your life in time to come. This can happen even in sleep - being in self-less non-dual awareness in sleep, dream, or sleep paralysis in my experience has the effect of liberating emotions and fear even in sleeping conditions. When you have not realized no-self, you will think that emotions are to be dissociated. But this is a wrong practice and it leads to strengthening the sense of self instead of dissolving it. The only way to liberate is to realize no-self and emptiness, then when there is no one behind, and the emotion shows itself as mere vivid and empty clarity, everything self-liberates without effort. So just focus on the cause, the insight, and don't worry too much about the effect (liberation). The liberation of afflictive emotions will take care of itself when insight manifest and deepens, clinging will naturally dissolve when there is too much wisdom around. "...it seems that lots of effort need to be put in -- which is really not the case. The entire practice turns out to an undoing process. It is a process of gradually understanding the workings of our nature that is from beginning liberated but clouded by this sense of ‘self’ that is always trying to preserve, protect and ever attached. The entire sense of self is a ‘doing’. Whatever we do, positive or negative, is still doing. Ultimately there is not-even a letting go or let be, as there is already continuous dissolving and arising and this ever dissolving and arising turns out to be self-liberating. Without this ‘self’ or ‘Self’, there is no ‘doing’, there is only spontaneous arising. :)"
And to substitute one conditioning for another is to miss the point of practice. The point is not that a positive emotion is better than a negative one, but that all thoughts and emotions are impermanent, changing, or (in Buddhist terms) empty. They have no reality whatsoever. Our only freedom is in knowing, from years of observation and experiencing, that all personally centered thoughts and emotions (and the actions born of them) are empty. They are empty; but if they are not seen as empty they can be harmful. When we realize this we can abandon them. When we do, very naturally we enter the space of wonder. This space of wonder - entering into heaven - opens when we are no longer caught up in ourselves: when no longer "It is I," but "It is Thou." I am all things when there is no barrier." Thusness says that in actuality there is no "background" in which phenomena arise and subside. But isn't there "the now" which is still or "eternal"? Is this also a reification of mind? I would appreciate your reply. Thanks. Therefore, this ‘insubstantial, disjoint, unsupported, bubble-like, non-solid, spontaneous, self-releasing’ nature of activities was revealed as a further progression from the initial insight into Anatta which was still skewed towards non-dual luminosity and being grounded in the ‘Here/Now’." So, if there isn't such "now" or "background" or "awareness" or "stillness", and if there are just the transient discrete phenomena (the "foreground"), then my question is: are there separate and discrete numerous "now" or separate "awareness" one after another that make up the stream of transience? "What continues is the stream of aggregates, consciousness being the chief of them. Consciousness is defined as a (partless) moment of clarity. These moments are serial and independent from the serial moments of the consciousness of others." I.e. each moment of consciousness/experience are disjoint manifestation without any linking ground/agent/self/etc. However eventually they are also resolved as non-arising. I've been meditating for a while now and I've realized no-self. However, I still don't see how form is same as emptiness. It seems like the Buddha was talking about all the forms and not just the self. For example, in direct immediate experience things(forms) arise and subside. When I try to see where they come from it's clear that from no where and they go nowhere as well. Also that the observation is the same as the thing that arises. For example observation of sound = sound and hearing a sound = sound. But it's obvious that they arise because they are so vivid. Anyway, wouldn't emptiness of forms imply that they don't arise? I ask this because after realizing non-duality I've been cycling. 1 month state of relief and 1 month state where some aspect gets made into a self and needs to be looked at. There are few resources online and I come from direct pointing background as well. Thanks. Yes there are twofold emptiness. Emptiness of a subjective self allows us to see through the agent, the background, the Self behind perception, sensation, vision, and so on. Everything becomes implicitly non-dual and luminously clear, and there is a sense of release. Something that is vivid does not imply that something has arisen. For example a movie image, a mirage, a mirror reflection, a reflected moon on the lake. For example, due to dependent origination there is a reflection of moon on the water. But is anything 'real' being created inside the water? A real moon in the water? Of course not. If you move along the riverside, the reflection 'moves' along with you. It was never created inside the lake. Nothing is created, nothing has arisen, merely an appearance. An appearance does not imply something has truly 'arisen' that could truly 'abide' and then truly 'cease'. An appearance which dependently originates never amounts to anything other than birthless/deathless, illusory, magical appearance. This is the empty nature of 'presence', that 'hearing which is sound' or 'seeing that is scenery' or a thought. After an initial realization of anatta, one will go through a peak-experience of intense samadhi and bliss and deep presence/clarity in all senses for about 60-90 days, and then latent tendencies will come back. Deeper insights and right view will eventually dissolve these tendencies and experience eventually becomes effortless and intense, clear and vivid, bounnless and oceanic. The following text sounds very misleading! Is this because is a temporary stage? “always thought watching thought rather than a watcher watching thought.” or "the watcher is that thought." The sword’s edge cannot cut the sword. The flame, in fact, can never light itself. And why? Because the darkness never dims it! “Depends, unlike a crystal, upon nothing else. It’s through the link with things experienced that memory occurs. Thoughts do not watch another thought. Thought watching thought is another of just saying that thought is 'known' through itself and not through any other separate knower. A thought is self-illuminating -- there is no knower besides what's known, knowing occurs at and is none other than the appearances shining forth. In truth, knower, knowing and known are merely imputed, there is no self-existence of a knower, a knowing, or a known. There is no mind entity besides cognition, the manifestation is what's conventionally called 'mind'. A time to conserve energy in a difficult period.